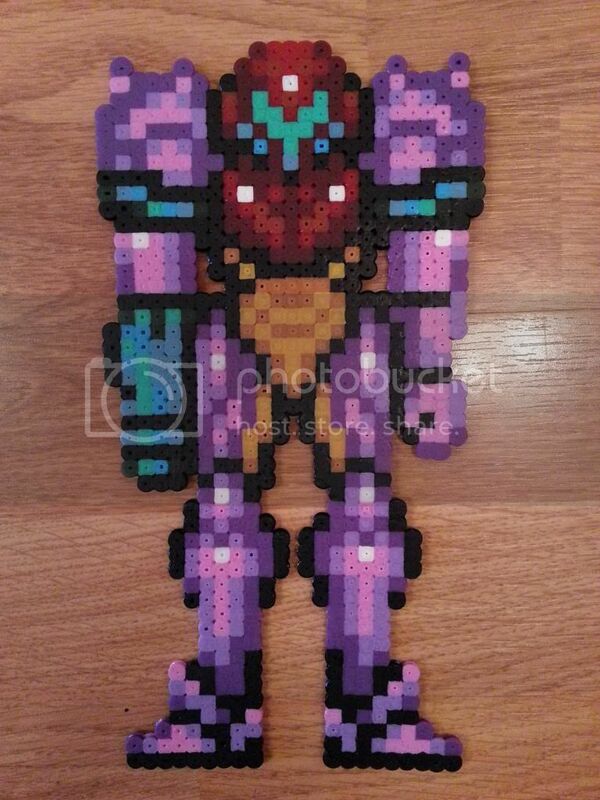 I've seen quite a few bits of fused bead sprite art round here recently and think it's worth its own thread. It's a horribly addictive pastime and think we should have a specialised thread for it. 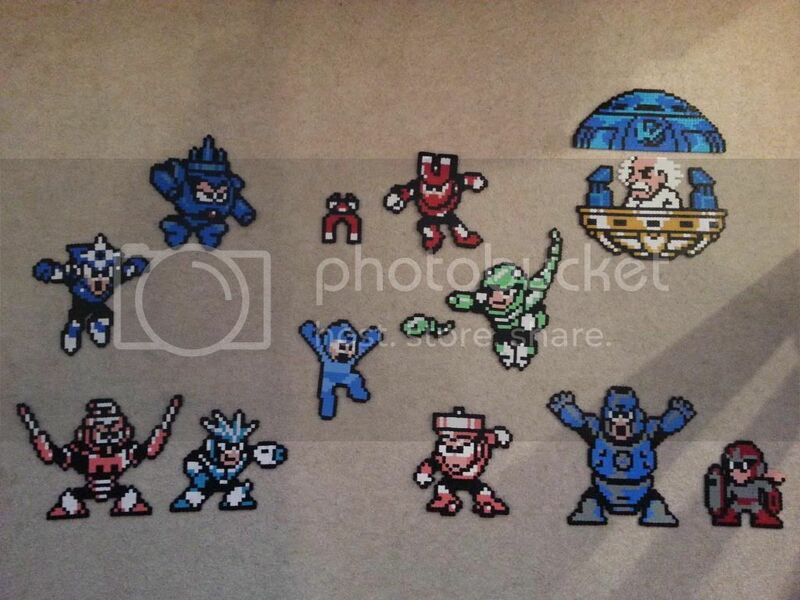 Everyone starts with Mega Man sprites. Really well designed for the NES' limitations and a good place to start. Naturally I did Mega Man 3. Then comes the escalation phase. 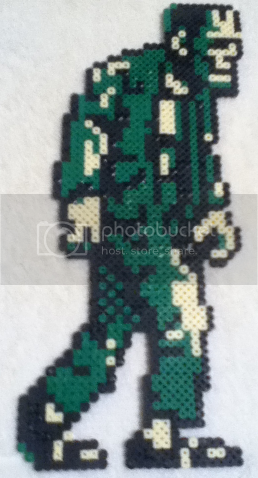 16 bit. 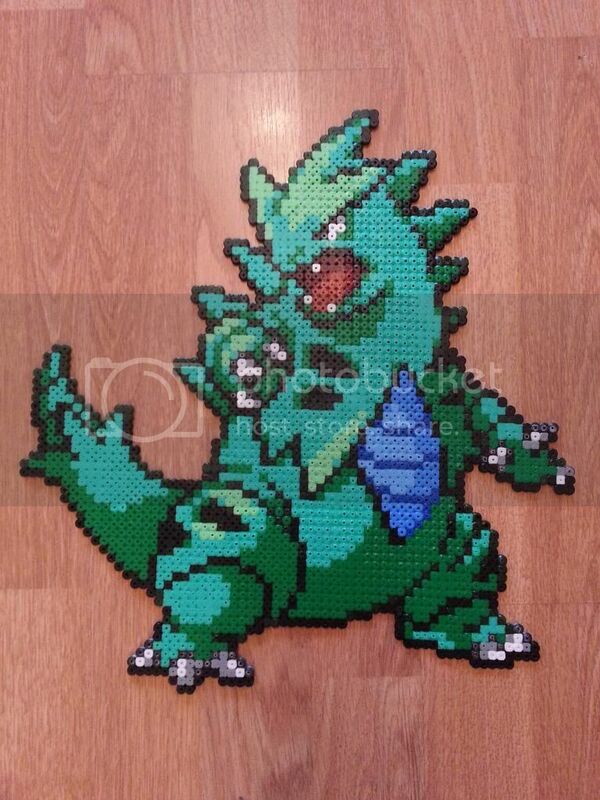 Often bigger sprites and a load more colours required. A Link To The Past is quite a good place to start here - from the ones I've done the sprites are quite small and so easy to do nice ones without having to be sat in one spot for hours. 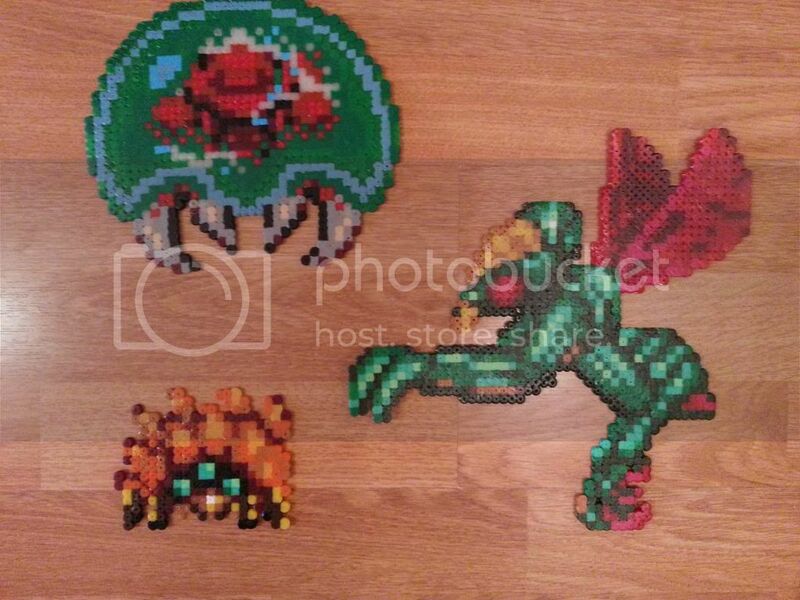 Super Metroid has some really great sprites (the Metroid is glow in the dark just because I could). 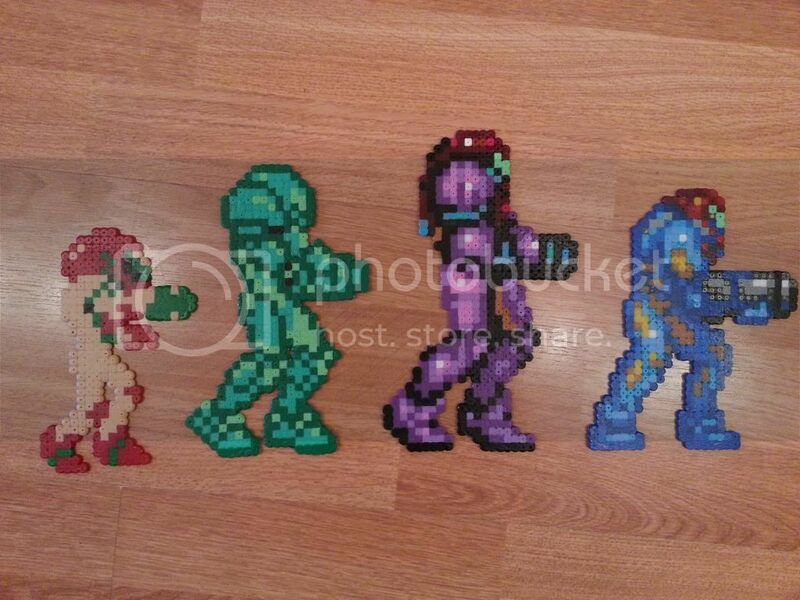 The evolution of Samus. 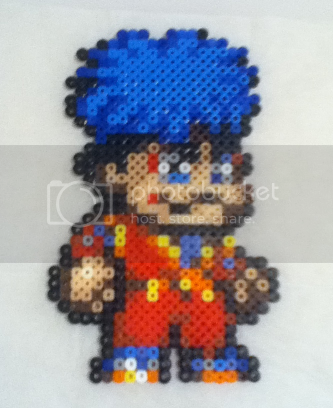 (Note to self, I need to get round to Zero Mission sprites). As the sprites get more complicated you have to compromise more and more - you just can't get all the colours you'll need so nearest neighbour has to do, and sometimes you have to reduce the amount of colours per sprite. Naturally, almost no one will notice or be in any way bothered by this other than you. 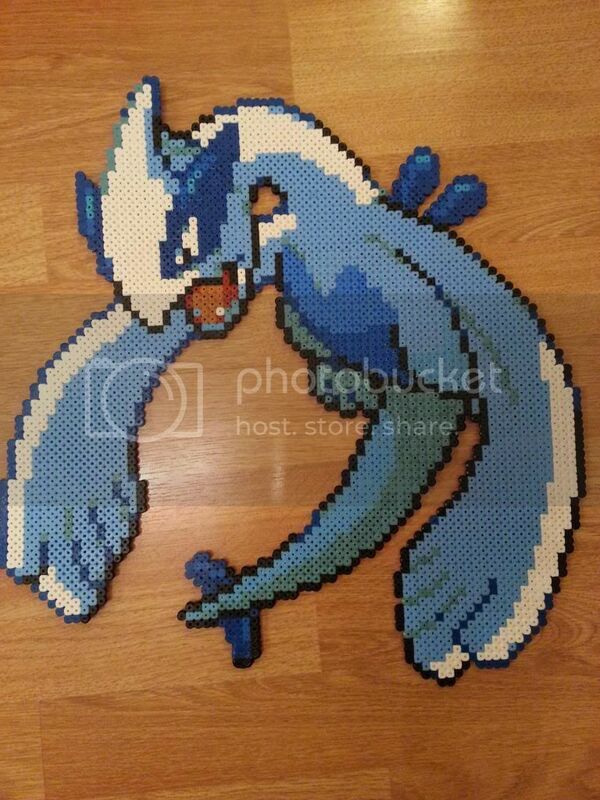 Here's a good example - Lugia here is actually coloured fairly different from the original sprite because (with Hama) you just can't get beads in the right shade. However, unless you've been looking at the sprite for the past three hours in GIMP you can't really tell. 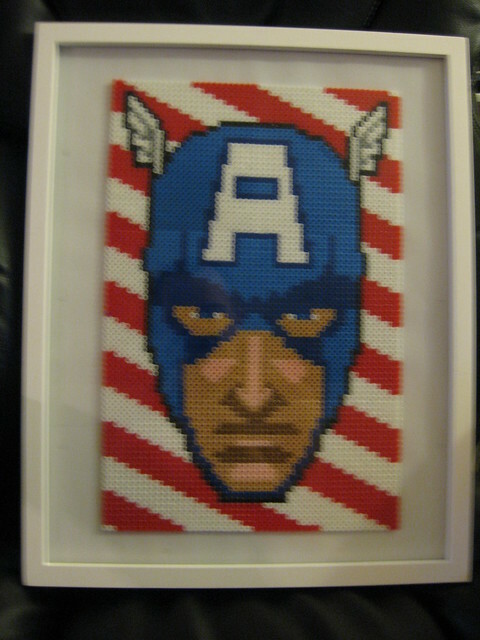 So here I leave the thread open to the rest of the Tyrants - have any of you been beading? What have you made? 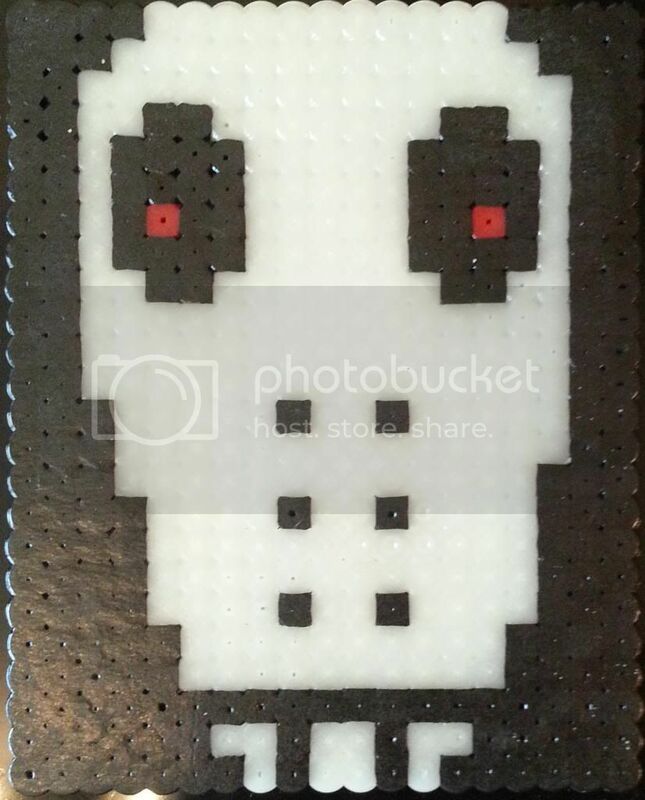 I've made several, which I posted in the Making and Crafting thread, but I agree, Perler Sprites deserve their own thread. 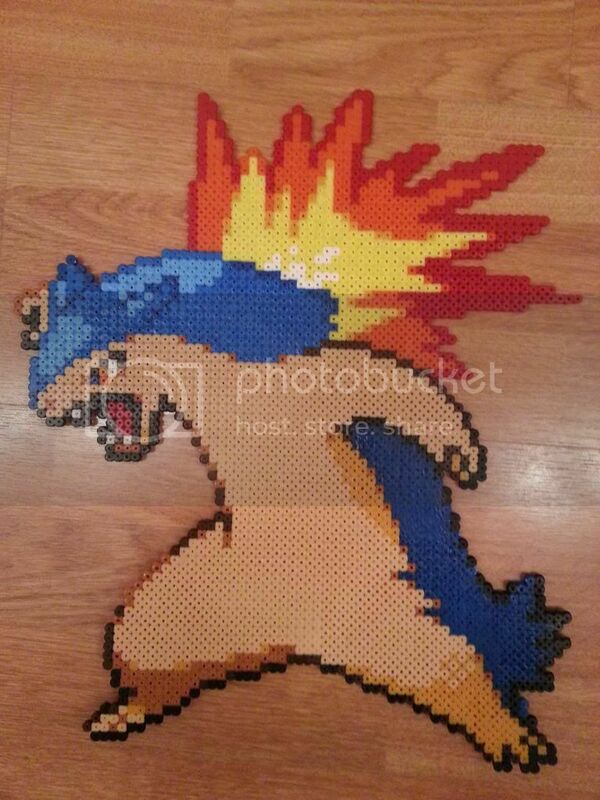 Alas, when I made my most recent move I left my Perler beads behind. 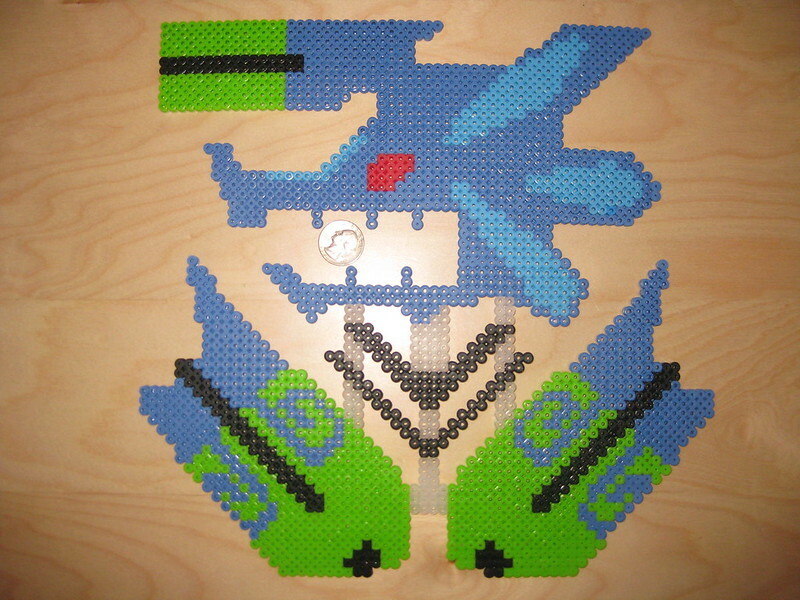 (space was at a premium) So they remain taped up in a box at my folk's place for now, until some day when I get to Perler Sprite again. How hard is it to learn to do that? Oh... Heat Man. You're always so derpy looking. It's actually not hard at all. If you don't have Photoshop download GIMP (it's free) and make good use of the grid function (set to 1 pixel width) and the colour selection tool, which highlights single colours all over the sprite. Makes life a lot easier. I'd recommend starting with a Gold / Silver / Crystal sprite. You'll only need to buy 4 colours and you can see if you have a taste for it before getting loads of colours in. 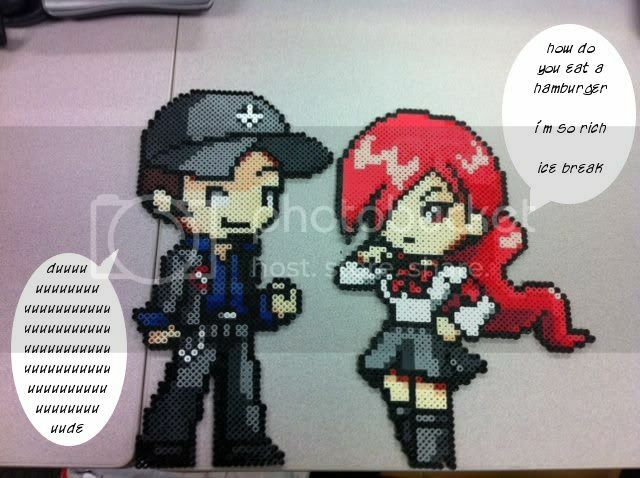 Nice sprites by everyone. I knew Talking Time would never let me down on this. 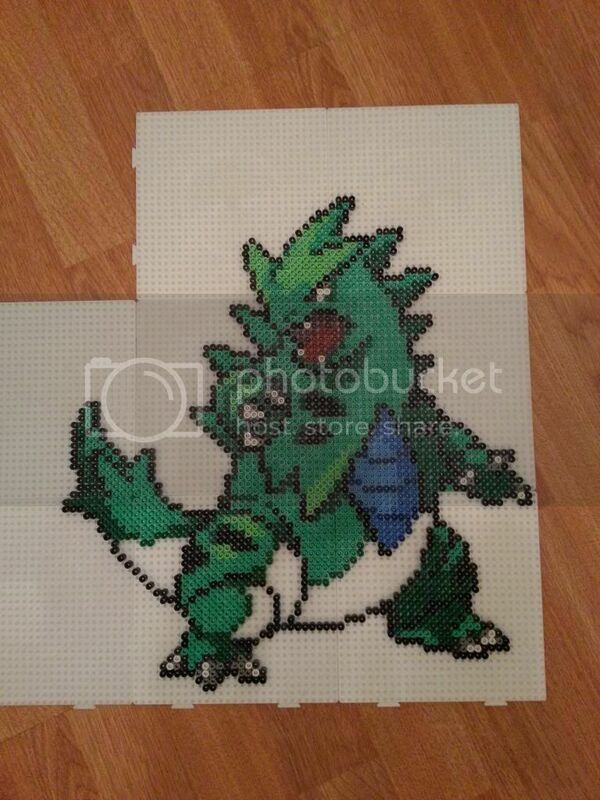 Man, how many backing boards did it take to make that Lugia? 9 - 3x3. 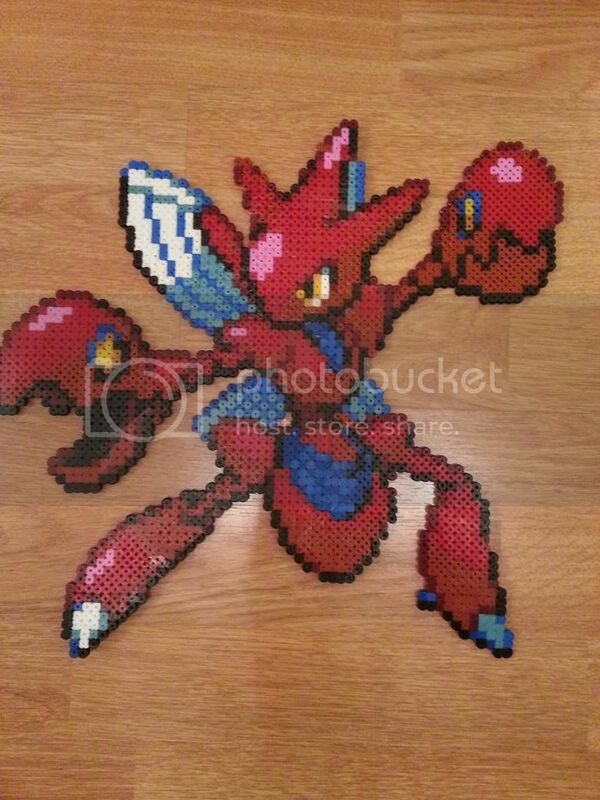 It's pretty much as big as the DS pokemon sprites get. I think this is still my favorite piece I've done so far. Omitted from here is the set I had done for Tomm that was posted above already. 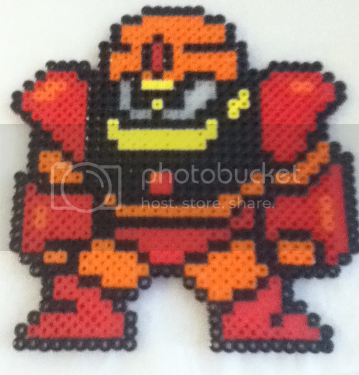 It's really amazing what can be done with these little colored beads. Probably a dumb question for you guys, but where do you get your beads from? I only see crappy colors or sets at art supply/toy stores. I typically order mine from various dealers on e-bay who stock 1,000 count bags in pretty much every color. Here is a post from a seller I've used before for 10,000 beads for 24.50 and you get to pick what colors you get 10 bags of 1,000 each. Really nice deal. I used to get them from Amazon, until the prices became absolutely stupid. They're barely available on Amazon.ca anymore and even on the .com site they're more expensive than they need to be. Protip: If you're going to be making vidjagame sprites, get lots of black. Like, if you get 1000-bead packs of the colors you want get AT LEAST 3000 black. More, if you have the extra bux. Every time I was running out of a color, or otherwise ordered some misc colored beads, I always got a few packs of black at the same time, even if I didn't immediately need them. Because I knew I eventually would. Yes. This is very true. Almost every sprite uses black to some degree, barring weird ones like in Super Mario Bros. 2 and Kid Icarus. You'll get through black about three times faster than anything else. Blue is very useful as well. 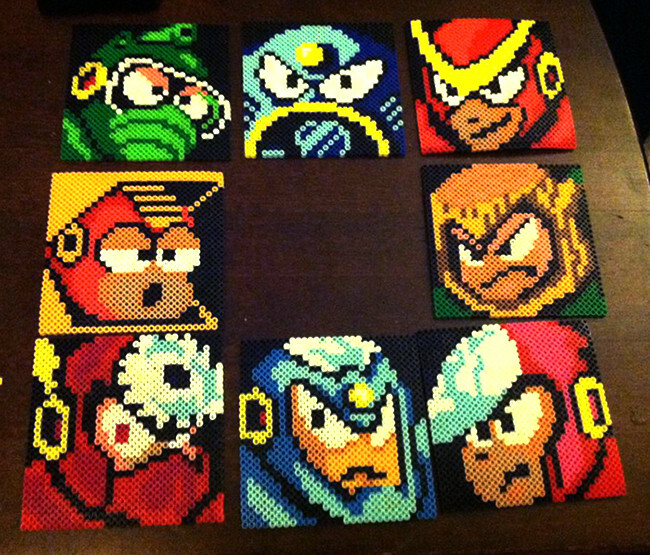 All over the place in Megaman stuff, obviously. There's a Pokemon that has Baron von Blubba for hands? Awesome! And a surprisingly good replacement for grey / black at times. None of the bead makers seem to make more than two grey shades and maximum two blacks and they're too close in hue to be useful. You have to get inventive. I'd never noticed the von Blubba hands before. They do look quite like him. Escalation! Biggest one yet, but I think I need a break before I inevitably move onto Blanka. Glow in the dark too. Bit weird to make something deliberately lopsided, but it is supposed to look like that. I don't know why it never occurred to me to just do this. This will make things immensely simpler than having to go hunt around a Hobby Lobby for a pack of beads that often comes with colors I won't likely ever use. Ooh, and additional pegboards, so I can finally start making some SNES stuff. Yeah, Mr. Do. I had to do that one using a screenshot of the game zoomed in real close for reference, so it's a bit garbage. Very nice. 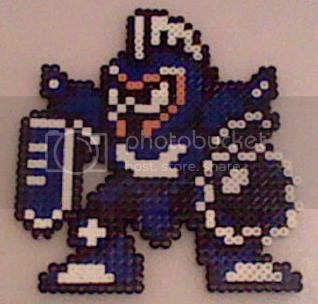 As I said before, GIMP is incredibly helpful for beading. 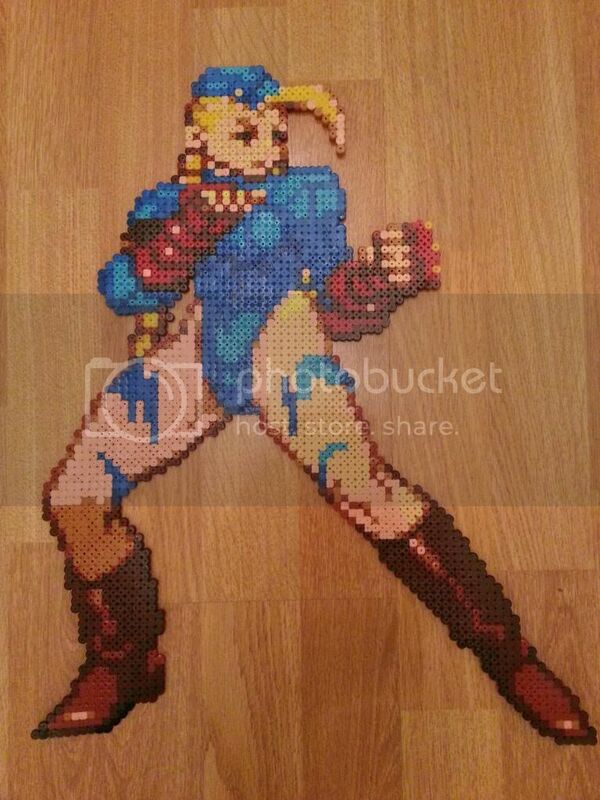 I'd have gone completely bonkers trying to make Cammy without it. I accidentally gave poor Bill some Andre the Giant hair that I had to cut off with some shears afterward. I just thought of something, how are y'all managing to iron them such that there aren't any weird lines or bends in them? I do my best, but they invariably end up a bit jacked up (you can kind of tell in both pictures I posted). Use baking parchment, not the ironing paper that comes with the beads - it's too small for big projects and baking parchment works just as well. Put the iron on maximum, but don't leave it on any one part for more than about ten seconds. DO NOT push down on the iron while you're moving it (and go easy on the pressure generally). This can lead to bad things. 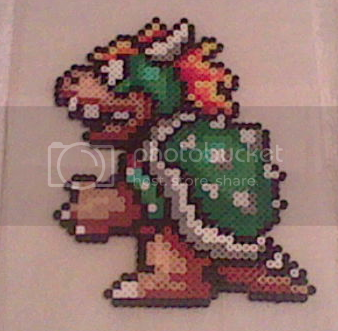 Put a heavy book (Hyrule Historia will do) on the beads while they're cooling to stop them curling up. Make sure that everything has fused at least a little before moving the ironing paper. The beads will happily stick to the paper if they haven't fused properly which will lead to heartbreak and the sort of swearing that would make a sailor blush. Once one side has fused enough to move it off the peg board and onto a flat surface (a bread board is good). This saves you destroying the pegs while ironing further. Hopefully that's of some help, but ultimately the answer is patience. Just finished work on the Brachy Icon from Monster Hunter 3 Ultimate for an upcoming Charity Stream I'll be taking part in. Anyone would think I was working through my old Silver team, or something. 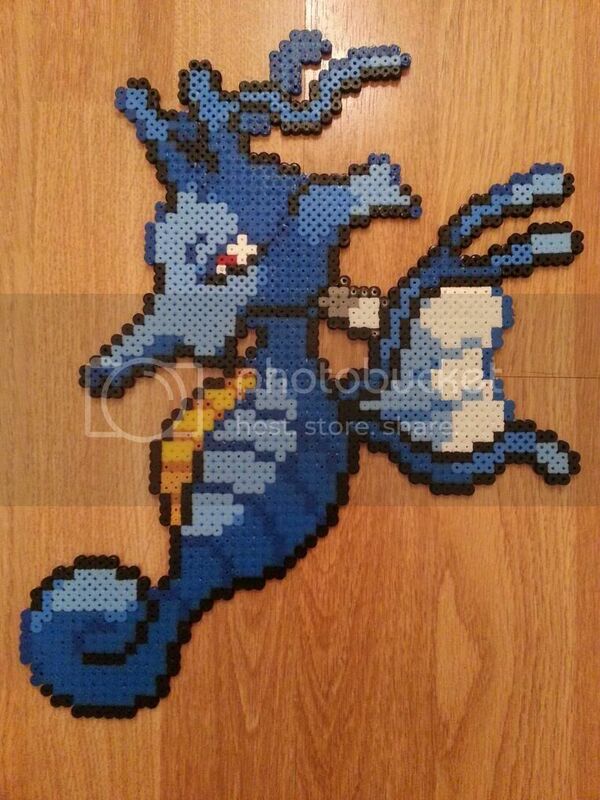 You guys, these are all super-cool, and Perler is a hobby I've been interested in getting into for some time. Assuming you've done the ironing well, and not wound up with any weird bending action, does the finished piece stay ''nice'' over a long period of time? After, say, a year of display, does it begin to warp? How, generally, do you display your finished pieces? Can they be hung/mounted as-is, or do they need to be framed, or what? Anyway, great work, and hopefully I'll be able to post something in the next couple of months (I'm moving across the planet soon, so it may be a while). Keep up the awesome! As far as I'm aware they don't warp over time. Make sure you have some heavy books to rest over them as they cool and you should be OK.
You can stick them to the wall as is, or frame them. Whatever you want, really.